In podcasting as in so many other areas of business/life, you always need to be upgrading, your skills and equipment. I was having some sound quality issues with my set-up. I tried isolating each item to deduce the cause. I checked the microphones, mixer, cables, computer, etc. I finally concluded that my Behringer 4400 Multigate gate/expander was the culprit and so reluctantly disposed of it. I still wanted the ability to have effects, so I decided to seek out a new digital mixer. There's ... See More a number of brands on the market, but the Behringer x-18 stood out. If you haven't seen a digital mixer, it looks just like an analog model, except all the buttons, dials and faders are missing. The only dial left controls headphone volume. I managed to find an open-box special on eBay for just $377. It was being sold by a well known audio store and came with a 6 month warranty. I got the unit 2 days later and proceeded to plug it in and try to make it work. You control the mixer with apps on your computer and iPad. I'm fairly handy with most electronics, but this was a challenge to set-up. It worked fine with my USB into my Mac but I couldn't get the guest's skype feed to go back into my computer and record on Adobe Audition. I watched a few YouTube tutorials on the subject and finally figured it out. However, there's still so much to learn. Once fully working, the sound quality is amazing. Very little hiss and virtually no hum. The preamps are so clean and powerful that I was able to do away with my inline mic preamp altogether. I couldn't be more pleased with the unit. It has exceeded my expectations in every way. 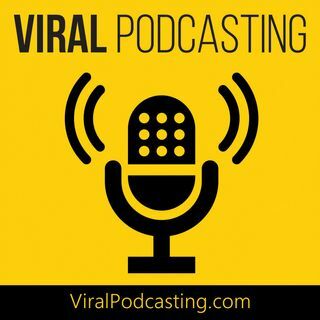 Let us know what you think at www.ViralPodcasting.com.